It’s very easy for an unethical mechanic to convince car owners that unnecessary repairs are needed because the average person doesn’t know much about their cars. People often have no idea they’ve been ripped off. This makes proving auto repair fraud difficult. Even those that suspect they’ve been scammed don’t know what to do in order to make their case. This is one of the oldest auto repair scams in existence. These “Highway bandits” own, or work for service stations. They prey on motorists who stop for gasoline or air or water. There are numerous ploys they attempt to separate the unsuspecting motorist from their money. They’ve been known to spray oil or drip it under a vehicle then claim that it leaked from the traveler’s car. They’ve punctured tires, cut water hoses, and fan belts so that the motorist will have to buy new ones. These bandits focus on the danger the traveler faces if they drive off without making the repairs and often charge inflated prices. Consumers who don’t get written repair estimates can suffer the consequences when they pick up their cars. This problem occurs when a shop provides a very reasonable quote when the car is dropped off, but at the end of the day, the consumer finds that the shop has raised the final bill considerably from the verbal quote. This may seem to be perfectly legal; since many mechanics find additional problems with a vehicle once work begins. Shop owners and mechanics have been known to leave the estimated amounts blank when they ask customers to sign repair authorizations. Later on they fill in an inflated amount or descriptions of problems after the consumer leaves the premises. Repair shops will advertise check-ups or preventive maintenance service at very reasonable rates. Unethical shops will use these maintenance specials to “hook” and deceive their customers. A simple oil change and lubrication process can turn into expensive and unneeded repairs. Some mechanics will even cause damage during an inspection to enhance their income by “discovering” new car repair needs. Modern automobiles are complex, highly technical machines. The average person has no idea how to repair or maintain their own vehicle. It’s very easy for an unethical auto shop or mechanic to deceive the average consumer. A lot dishonest mechanics have charged customers for parts that weren’t used. In addition, the mechanic will charge you for the labor required to install the non-existent replacement. It’s a double rip-off! The old used part switcheroo is another common cart part related scam. Used parts are a viable option for many repairs, however, some mechanics charge customers for new, premium parts after installing sub-standard or used car parts. Always ask for your old, damaged part back after it’s been replaced. It helps keep your mechanic honest. To save money, some unscrupulous repair shop owners cut costs by using counterfeit car parts instead of high-quality replacement parts. The difference in price can be significant but you won’t see any of the savings. You’ll be billed the full price for the parts and won’t be told. This practice can actually put you in danger because counterfeit auto parts are often of inferior quality. This can put you and your family at risk and you may never even know it. Besides being potentially unsafe, counterfeit parts generally wear out sooner than genuine parts. Detecting counterfeit auto parts is difficult because the counterfeiters often duplicate trademarks or alter them so slightly that it takes an experienced eye to notice the difference. If you suspect that counterfeit car parts have been used in place of quality materials don’t hesitate to file a report with your state’s attorney general or local Better Business Bureau. Many auto scams begin with an advertised price on a specific repair job that seems almost too good to be true. Once they have your car in the shop, they find other items that need repair as a way to expand the work order and inflate your invoice. For instance, imagine you might see an advertisement for a great deal on a tune-up. So you take your car to the repair shop to take advantage of the special. Once there you’re told, “You need this, this and this.” This is very similar to a bait and switch scam. The only difference here is that you’ll probably receive the great deal on the tune-up. You could also pay $500 for repairs you hadn’t anticipated or thought you needed. A $699 car repair job can mushroom to almost $2,000 so fast it isn’t funny. Your mechanic will find so many things wrong with your vehicle that you’d think it’s beyond repair. This would be a great time to get a second opinion before authorizing repairs. A few repair businesses charge customers for parts that don’t even end up in your car. Other repair businesses complete the work but it’s so shoddy, the customer has to bring the car back two or three times. To add to the insult you’ll be asked to pay each time you bring your car back due to the repair shop’s negligence. If you believe you’ve been a victim of an auto repair rip-off, notify your state attorney general’s office, local consumer protection agency and file a complaint with the Better Business Bureau. Don’t let it go. Ask for a written estimate before you authorize repairs. – Most states require a repair shop to give a written estimate when that estimate exceeds $100 and must contact you before exceeding the estimate by $10 or 10% whichever is greater. Ask if repairs are guaranteed. – While you are at it get all guarantees in writing and insist on a shop honors its guarantees. Perform a background check on the repair shop. – Check out a repair shop’s history with the Better Business Bureau and make sure they are registered with the state before you take your car there. Your state government has records of car repair shops that have had complaints filed against them. Don’t get conned into paying for unnecesary repairs. – Don’t tell a repair shop what repairs to make unless you are absolutely sure you need the repairs. Get several estimates from different shops. – You may have to pay for the estimates but you could save yourself hundreds of dollars by shopping around for the best deal. Look for a car repair shop with certified auto mechanics before you need one. – This way you aren’t in a hurry and you can take the time to find an honest repair shop. You can save money by asking for used parts. – But make sure to ask for your replaced parts (at least to see the parts). Be certain the repair shop honors any existing warranty on your car. – If not, you may be paying for parts or labor covered by your manufacturers or extended warranty. Is the repair shop unprofessional or messy? – Good repair shops are usually clean and organized and their staff behaves in a cordial and professional manner. Honest repair shops won’t pressure you into making repairs and will answer any questions you may have and any requests for written estimates are cheerfully provided. When your car needs servicing what influences your decision on which shop to take it to? There are many factors that you should keep in mind while making this decision. If your car is still under warranty you may have no other option than a mechanic or an automotive service technician certified by the manufacturer make the needed repairs. This usually means you’re going to have to take you car to a local dealership to have the work done. This isn’t always the case, however, and you might be able to take you car to any certified mechanic. Just make sure you’ve read and understand your warranty so that you follow the steps necessary for reimbursement. Once your warranty expires there should be no restriction on where you take your car for servicing. OK, so how do I find a good mechanic? Finding a good, honest repair shop or service station near you shouldn’t be too tough. Ask your family and friends for their recommendation. The Better Business Bureau is another great resource when you try to find a reliable repair shop. You can also search the web for both recommendations and warnings. Do some research even if your car needs nothing more than routine maintenance. None of this will help you, however, if you break down in the middle of nowhere and there’s only one repair shop. To help avoid this scenario, do a visual inspection of your engine before you leave for a long car trip. If you see any potential issues like a worn belt or heavily corroded battery cables, have some preventative maintenance done. If you do strike out and find yourself at the mercy of the only mechanic in town, good luck to you and make sure you get receipts and keep them for your records. If your vehicle requires specialized work, make sure the people doing the repairs are qualified and that they have the necessary equipment. Modern vehicles have needs older cars do not. Their internal computer control systems interface can aid in the diagnosis of many issues, but if equipment isn’t on hand or the mechanics aren’t trained to use it you could pay unnecessary diagnostic fees. Even if you find a repair shop that’s highly recommended, take the time to get a second opinion before authorizing them to make expensive repairs. It may seem like a hassle but if you can still drive your vehicle you may be able to save yourself a bundle. Prices vary for the same service. You may even find out that your car doesn’t need to repairs you were told it did. If the second shop finds more problems than the first one ask them to explain why their diagnosis is different. I’d also consider getting a third opinion. Why should you keep a repair log? Keeping a vehicle repair log is a great way to show how your car, truck, motorcycle, or recreation vehicle has been maintained. If you include receipts, work orders, and invoices you can easily prove to someone what work has been done and when. Such a record of maintenance and repairs can add value to your vehicle and make it a lot easier to sell. If your car turns out to be a lemon you’ll be asked to provide proof of repair attempts and the number of days its been out of service. The repair log, if maintained correctly, will have records of the dates, mileage, and the issue needing correcting each time the vehicle was taken to the dealership. If the dealer failed to fix the problem, the repair log will indicate it clearly and strengthen your case. If you end up in arbitration or have to sue the dealer, a well-kept repair log can prove to the court how well you took care of your car. A repair log allows a judge, arbitrator, or manufacturer to quickly review your case. Think of how long it might take to pour over notes, invoices, receipts, work orders and other records presented in a big unsorted pile. Depending on the number of records, it could take days to wade through! The Repair Log is a Summary of your Vehicle’s Repairs and Maintenance. Besides protecting you in Lemon Law arbitration, it allows you to quickly see the last time your vehicle had an oil change, brake job, or any other regularly scheduled maintenance procedure. 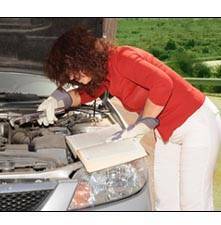 Car Lemon Vehicle Repair Log – PDF (Click to view, right click to save). Vehicle – This identifies the vehicle this log applies to. Example: Toyota Prius, Honda Civic, Ford F150 etc. Mileage – Enter the mileage of the vehicle when you took possession of it. Date and Mileage when you the vehicle went in for repairs. Date and Mileage when the vehicle was picked up. Note, the Date should reflect when the repairs were completed. It could be different than the date you picked the vehicle up! The Mileage should reflect the mileage read directly off the odometer. Dealer or Repair Shop where you took your vehicle for repairs. For Warranty Repairs, you are required to take your vehicle to an Authorized Repair facility. Repair Order Number. You’ll find this printed on the repair order or work order. Don’t drive off without this vital piece of information! Service Requested / Description of Problems. You can write in as much or as little here as you want. “Tires Rotated” or “Oil Changed” is fine for routine maintenance, but describe major issues in detail. If you’re taking your car in to have a repeat problem addressed, make sure your description is IDENTICAL each time it’s taken in to be repaired. The reason for this is so you’re protected under the lemon law. Your description of the vehicle’s problem must be on the repair order / work order. Don’t sign repair orders or leave your car at the dealership unless the problem is entered into the repair order / work order. Work Performed. When you arrive at the dealership to pick your car up, they should hand you an invoice detailing all work and repairs performed. Copy this down in your repair log. If the dealership won’t give you an invoice for any reason, make a note of it. Charge. Enter any out-of-pocket expenses here. Examples include: towing, gas, hotel, food, or repair fees if you’re asked to pay. Attach copies of all invoices and receipts to the repair log. Create a number for the repair log entry and write it on the invoices and receipts to aid future referencing. Remember to describe repeat problems exactly the same each time you take your vehicle in for servicing. Don’t forget to have your description added to the repair order / work order. In order to be protected under lemon laws, you’re required to describe unrepaired defects exactly the same every time your car is taken in for servicing. Repairs covered by warranty are required to be made at authorized repair facilities. When picking your car up at the dealership or authorized repair facility, make sure they give you an invoice for indicating the work performed. The dealership may say there’s no invoice because there’s no charge for the repairs. You have every right to a record of the work performed on your car and you shouldn’t leave the dealership until they produce an invoice for you with the information you asked for on it. Was your car’s problem fixed or was it unresolved – meaning the dealership service center couldn’t duplicate or find the cause of it? What did they fix (or fail to fix)? Base this on the original reason you took your car in for repairs. To be protected under the lemon law, it’s vital you write down whether or not the dealership or service center was able to correct your vehicle’s problem. The invoice might show the problem was fixed to your satisfaction but after you drive away the problem could return. If so, and you return to the service center, it’s considered a second repair attempt for the same defect. When you take the vehicle in to have it repaired (again), create a new repair log entry. We are currently working on a lawsuit against a car repair show here in California. They installed old/corroded axle on our vehicle and they know deny any wrongdoing. We have filed lawsuit now to prove that they actually defrauded us. Any advice? I paid nearly $4,000.00 for an engine and transmission rebuild on my vintage Chevy pickup. Came with a 1 year warranty. It was driven less than 500 miles and the engine blew. Now the mechanic says I violated the terms of the warranty, but did not tell me what it was that I did to blow it up. He is refusing to talk to me, let alone fix the problem. In the meantime, I am out 4K and my truck sits, dead in my driveway. What to do? I am from the Grand Rapids area. You said it had a 1 year warranty. How long had the motor been in there? If it has been longer than a year then the miles doesn’t matter. File a complaint case with the State DMV or whatever they call themselves ; they will get a statement from you, review your repair estimate and invoice and then send an agent to visit the repair shop and seek all documentation relating to the repair including the part purchase invoice which may or may not prove that they bought a new part for the vehicle. 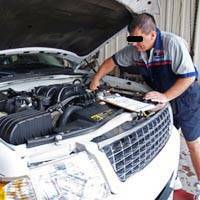 Because the case is filed the DMV should have an expert on staff which is usually a certified master mechanic that should perform an inspection of the vehicle and part in question and can make a determination as to whether it appears newer or as you described, old. They’ll review mechanic certification that performed the repairs and also inspect the facility for other documentation to see if they’re following regulations protocol with State law and issue violations pertaining. I’m an agent in Michigan and that’s pretty much how its handled here. And, if any violations are issued, sometimes the agent will suggest a settlement to satisfy the consumer; if the facility decides to let it go to court, you can use the violations against them and at that point the court may decide in your favor just based on the violation. If the violation is severe, you may get double the amount of the invoice returned to you by the facility. Well I thought what else did sears not do.So made a appointment for another location .under different name and #.Went 1/06/2016/I was tod need a oil change and a aligment.that I got a week ago and paid.But they didn’t do this is sad .I felt because I was a women.I have all paper work from both location. Contact Sears corporate office with your complaint and you should get a full refund 1(847) 286-2500. A refund isn’t going to help her when she runs her car out of oil and the engine seizes up! I’d call a lawyer! I need advice, I have a 2007 Hyundai Santa Fe. I purchased lifetime alignment with Firestone in 2008 I’ve been taking it every since twice a year for alignment. I recently had to put struts on my car and my mechanic said I might as well have him align it. That’s when I found out the tiebar bolts in the rear won’t budge and the tiebars in the front need replacing also. I just had it online a month and a half ago at Firestone and they said it was fine. My mechanic says the way that their stack they been stuck for a while so I’ve been scammed that my car is been getting aligned and it has not I do not know what to do. I’m taking it back to Firestone tomorrow I’m telling them I need to have an alignment done. I notice the last 4 years my tires were really wearing I was buying new tires every other year with discounts because they wore to quickly. Feeling irritated. I took my car in for an oil change. the next morning I had no heat. I called the repair shop and they told me to let it run for awhile as it was a cold morning. as I drove for awhile smoke was coming from the hood. I pulled into Honda and they told me the radiator cap was not on. I called All Star(repair shop) they told me they would make it good but they wanted to do the repair. I towed the car to their shop. they told me the coolant had overflowed. they repaired the car any charged me $596.61. Why should I be charged for their mistake of leaving off the radiator cap and causing the damage? Our Honda CR-V had to go to the Honda dealer because the motor to the door locks stopped working. It is too hard for my husband to do the work himself taking off the door panel and window, that’s the only reason we took it in and didn’t fix it ourselves. We have multiple cars so we don’t drive this car often. Over the course of three driving days, 25 miles, the air conditioner starts whining bad and stops working. We took it to a recommended shop and they say the compressor seized. We suspect the dealer may have overcharged the air compressor to make it do this. This is now going to cost us $1850 to get this fixed — my husband believes the dealership would charge as high as $3500. (We are in California). This is too suspicious for me to believe the a/c was just going to go out right after coming out of the shop for a $400 repair. You are making some serious accusations here with absolutely no proof. There is plenty of real repairs and maintenance that are needed without having to make up some garbage like you are accusing shops of. I am a professional Mechanic there is a chance that your repairer opened the ecu and replaced a blown component yet made up the story of a “rebuild”. [Shmoozology 101] to qualm you and yes also grease your credit card. Pro tip: always use credit to pay a mechanic, it’s much easier to deny the payment that way. i took my 94 chevy g20 to a transmission shop in sierra vista,az. it had blown all fluid on the way back from Mexico. i shopped around an found a shop that would fix it but wanted $800.00 to repair it. st. andrews church was able to help me since i have to live on a small social security check and had no savings, after a few months i got to the point where the owner called me and said it was repaired. nothing was touched transmission still leaked and sliped did not shift like it was supposed to he told me it needed a new clutch but i would not be able to use the car until l pay for additional work that should have was done.but was never done.. he refused to give me my keys and now has my title, registratuin and all other papers involving my owner ship[ of the car. Called AAA in Los Angeles to have my car towed,it was leaking yellow fluid and a water pump issue was pretty clear. I asked the driver (who had his girl friend in the AAA truck with him!! !t)to take me to my usual mechanic i drive a 1976 eldorado cadillac ,the driver insisted i should check out a mechanic he knew,on the way to mine ,saying he was really reasonable and good for classic cars,he said if you don t like him i will tow you to your mechanic. I finally agreed and once we got to the shop the mechanic immediatly says it s the water pump we can take care of it no problem. the car is now parked in his shop the minute the tow truck leaves he tells me if I want him to do an estimate i have to give him $250 cash for the estimate!i protested saying he should have told me right away,now I am stuck! he said that money would go toward the final cost of the reapair I end up having the repair done there $750 cash!.less than 200 miles later the water pump starts making noises i take it back to the crook and he wants $95 to look at it,i refuse,but the noise is so loud he says it s clear that it s the water pump and since he replaced it i he will ONLY charge me $350 for labor plus the parts!!! I told him to look at the miles less than 200 since his scummy repair,he said it had been over 6 months and therefore the work was no longer guaranteed,asked him where in the receipt it say that and he replayed that it was not written but these were his rules. Then he insulted me and told me to leave . I took my 1998 Saturn int6o a auto shop to have the gas pedal fixed. They fixed the gas pedal, but when I turn on the car or changed gears, my car would go into a high idle every time it changed gears. The mechanics said the throttle would adjust itself after I drove around a little bit. I drove it for 2 days and because of the high idling, the car malfunctioned on the third piston. It ran fine when I brought it in, now that this has happened I can’t run the car at all for fear it will blow up and strand me. Can you offer me any advice. Should these guys have to pay for the way its running now. Please help, I’ve spent a lot of money on this car. Thank you. My daughter went today for oil change, and was told she needed new brakes all round.She was told it was dangerous to drive with brakes she had. This seems like an outright rip off to me as I, her father,and a mechanic,replaced all her brakes approximately 7 months ago, and have receipts for parts purchased. Parts purchased were best qualityfrom Auto Zone .How can I fight this and receive re-imbursement. My dad and I found a project car, 1970 caprice for 1,500.00, I later went to a auction and bought a 1995 corvett, that had been rearended, that was ok because we only wanted it for the motor and trans, after 4 years of working on the car it was ready for the a/c to be charged, I took it to a place called Four Seasons Radiator Service, Inc. to have the a/c flushed and charged with freeon, they gave me a verbal estimate of $300.00 dollars the next week I brought my car there, I got a call later that day and the man said he had to make some special hose and that I was up to $200.00 dollars I told him ok continue the work, the next day he called and said come get your car its ready, on my way home I turned on the a/c and it seemed very weak, the next day while driving down the freeway I smelled a burning odor I turned off the a/c. The clutch to the a/c burnt up and fried the compressor, my car is now at a new shop with a estimate of $800.00 for a new compressor unit, they said the system had not been flushed and charged in turn causing the chain effect damage, oh, and when I picked up my car from the first repair shop the $300.00 dollar estimate turned into $520.00, (I paid in cash) big mistake. It gets better they scratched my new paint job that cost $5500.00 and denied all of it of course, so it looks like its off to small claims court. I’m 58 years old with stage 4 cancer, my 2 daughters live in Santa Anna Ca. I was going to take a road trip to see them before I die, I am also on disability and cannot work because of this kemo port. I drove to a Hyundai deal shop service department for maintenance, change oil. A service Advisor told me my wheel brake need replace or potential accident will comes to me. I paid for replace brake but I still was an accident, collision. I strongly suspect the mechanic took the Sub-Standard or Used Brake replace for me. So which one Department I can go to authenticate it? I got ripped off by a auto repair shop in glenville Pennsylvania R.L.smith told them I overheated a 1999 caviler drove about an hour and a half with virtually no water, took it. There and they said oh I think it just needs spark plug wires ,well guess what a week later I was told it needed or had a cracked engine block and or needed a head and or head gasket total bill for a non running car $167.00 ,be careful people please it caused me to lose my job and because I had no money could not pay the bill so was arrested for bad check 7+ months of my life in jail and now has ruined my relationship with my sister because she decided to start seeing the owner of the shop so be careful folks get a trusted dealership it cost more but at least it’s only monetary. I have a 2015 Acura TLX with 100,000 miles on it. I do regular maintainence as directed by the dash computer. 3 months ago at my previous dealer service I was told that need a valve adjustment at a cost of $600. I haven’t had it done and the car rides smooth with no clicking that a valve adjustment suggests. By the way I installed the gadget called Fix-D and it assures my hat there are no red lights. What is a valve adjustment,, the service manager atvAcura said that if I don’t do it It might freeze up and I’d be in real trouble. Any advice please? Try looking on your local AAA website for Approved Auto Repair shops.